If you want a free football, put on an Auburn hat or sweatshirt or something and go to a Carolina Panthers game and sit in end zone section as close to the field as you can. It will happen. Just ask this dude from Monday Night Football. Or those few other people we didn’t turn into posts. Or that one kid. Or that one ONE kid, you know the one. 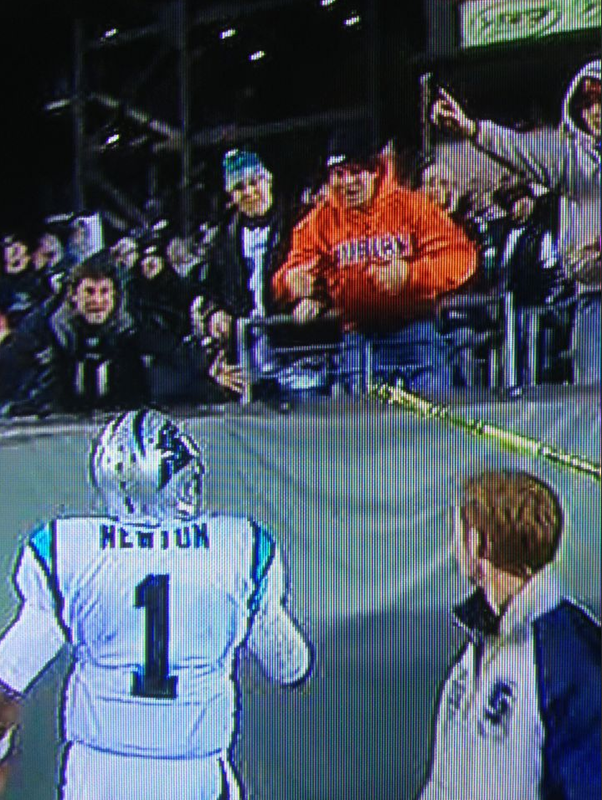 I think it is pretty cool that Cam recognizes Auburn fans at the game even before recognizing Panthers fans. In fact, he tried to give me the first TD ball last night but couldn’t get it to me because of the net and Eagles fans. My 10 year old son watching the game from home in Alabama would have loved it! I was sick about being so close to the opportunity and missing out. The guy that got this football from Cam is my son and is one of the biggest Auburn fans you will find anywhere. He lives in Delaware. He was in NYC waiting in the crowd when Cam won the Heisman and he went to Arizona to the National Championship game so he is not just some “Eagles fan” dressing up in Auburn gear to get a football. He is a true Auburn fan and I too think it is pretty awesome that Cam recognizes Auburn fans at his games.